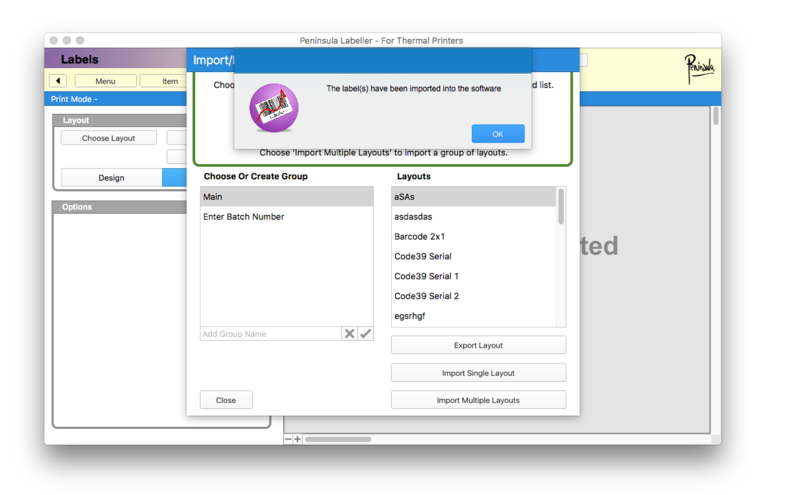 After clicking on the tab you will see a drop down menu, we want to click on the "import/export label layouts" button. This is the new page you should be on, to be able to export. 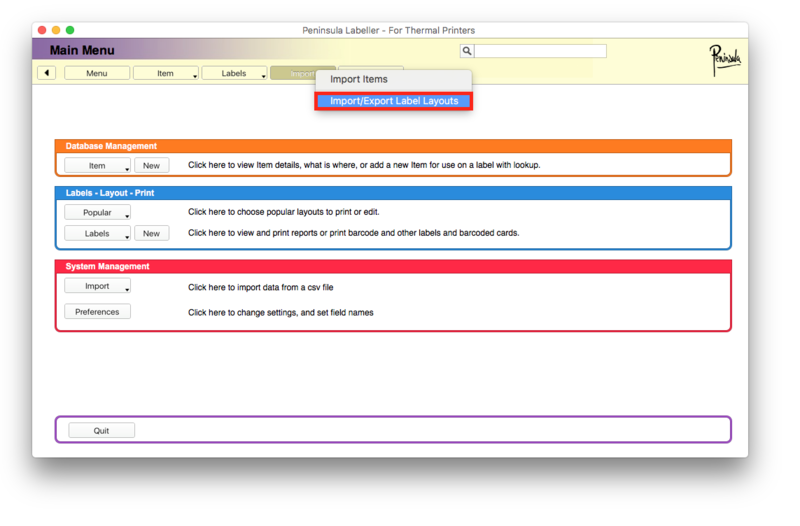 The red highlighted box shows were to pick your Layout to export it. 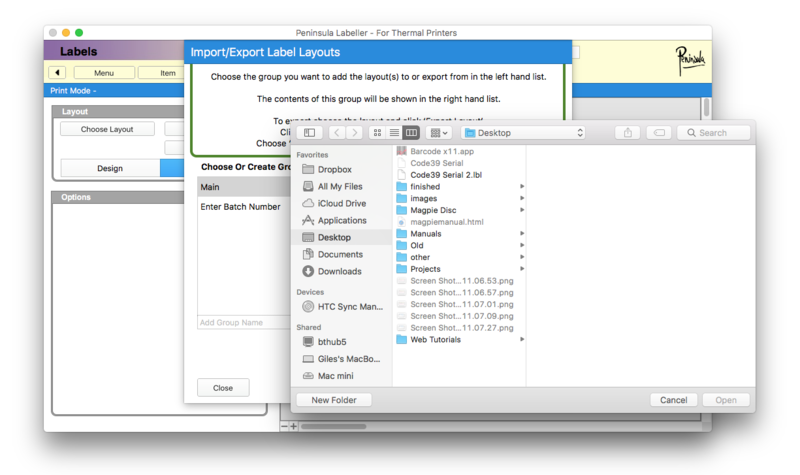 You can only export one Layout at a time. 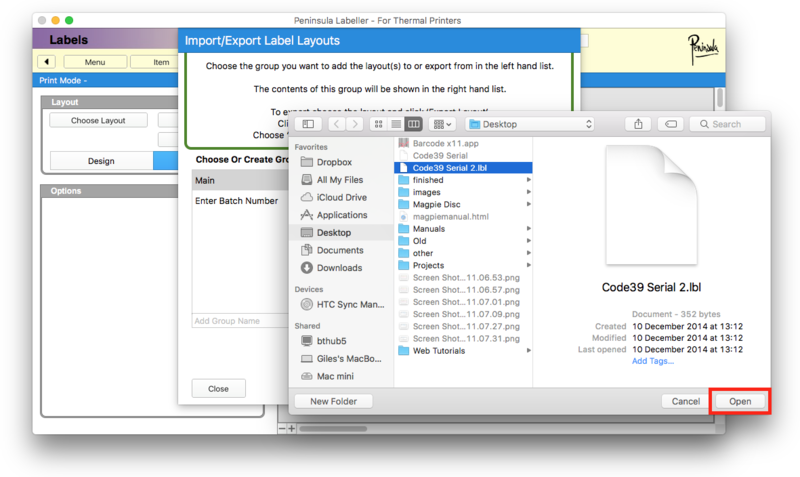 Click the layout you want to export and then click the "export layout" button. You must to remember to add ".lbl" after your label layout before saving it. 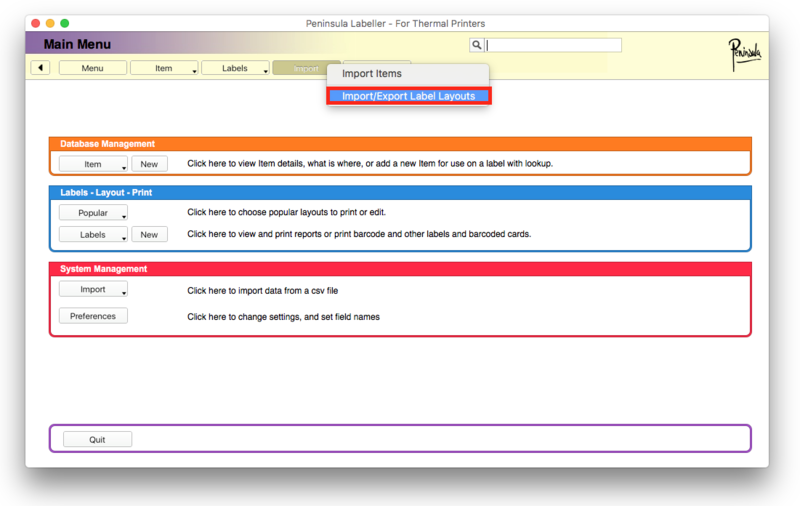 We have highlighted a label layout that we added ".lbl" to show you how it would look. 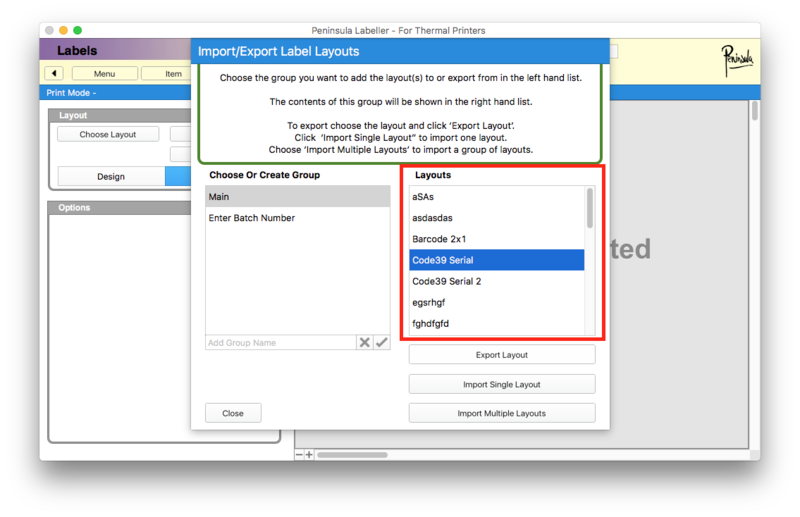 Choose where you want to save your label layout too and click export. Open up the Labeller software. 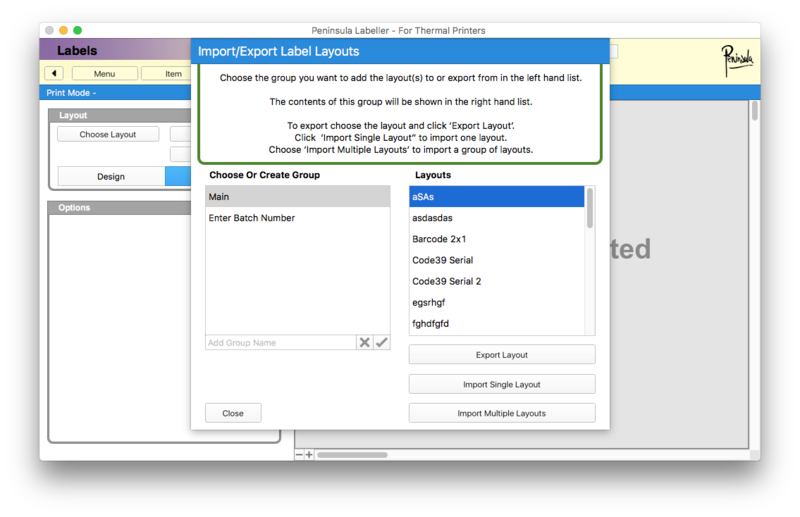 This is the page you should be on to be able to import new label layouts. Click the "Import layout button" you will know if you want to only import a single layout or multiple layouts. 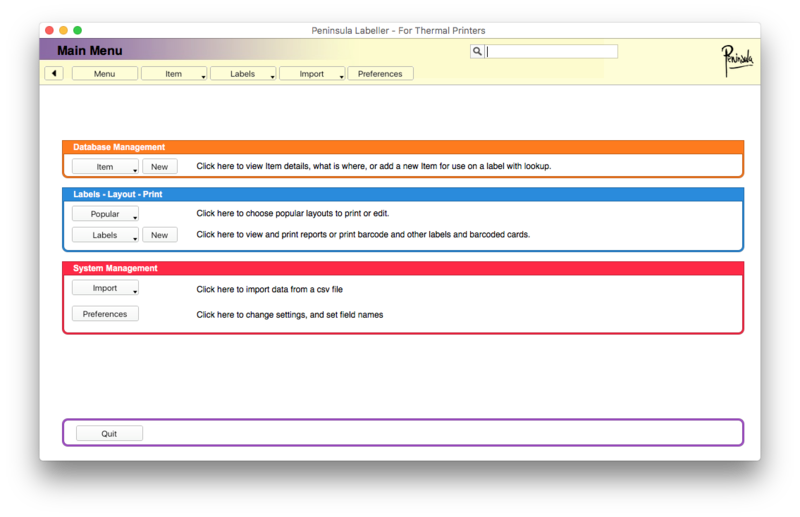 We are showing you an example of how to add a single layout. 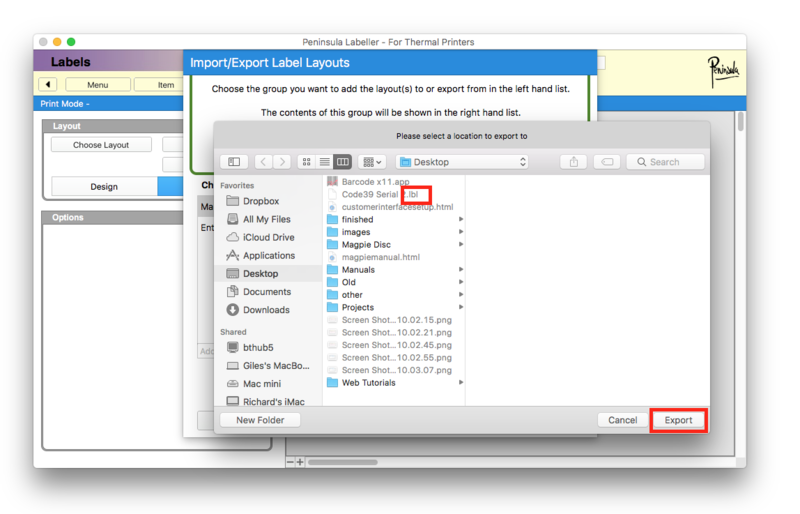 After clicking "import single layout" your files will open and you can locate the label layout you want. Once you have located the correct file you want, click "open". 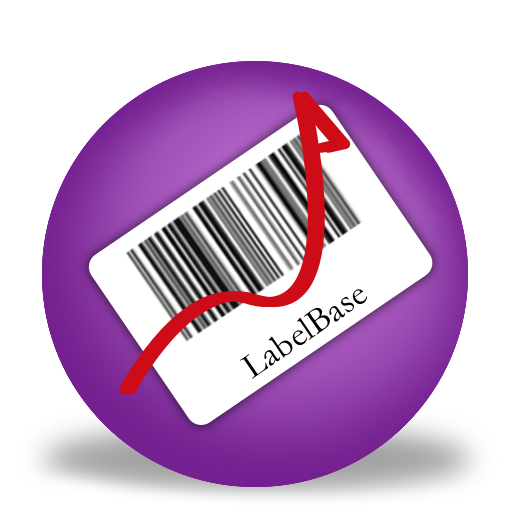 A dialog will pop up to tell you that the label layouts have been imported into the labeller software. You can now import and export.